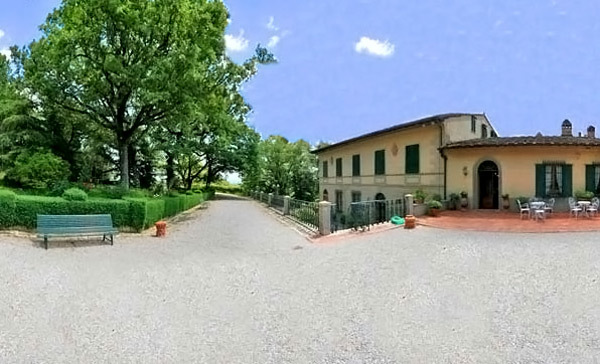 This Villa, an ideal setting for your dream wedding in Tuscany, is situated in the hills of the Chianti region, between Siena and Florence , in one of the most fascinating areas of Italy, overlooking the great landscape of oak woods, vineyards and olive groves. 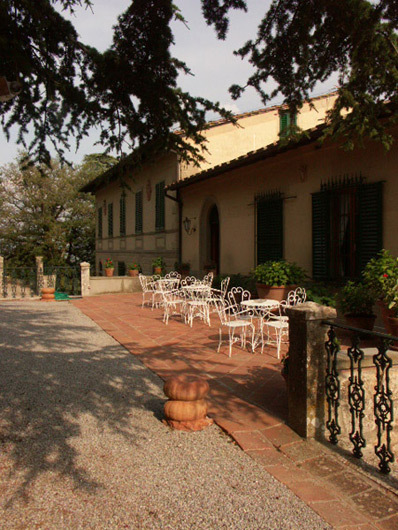 Built in the 19th century as a summer retreat of a noble family, today is a perfect wedding venue in Tuscany if you are thinking of getting married in Italy. 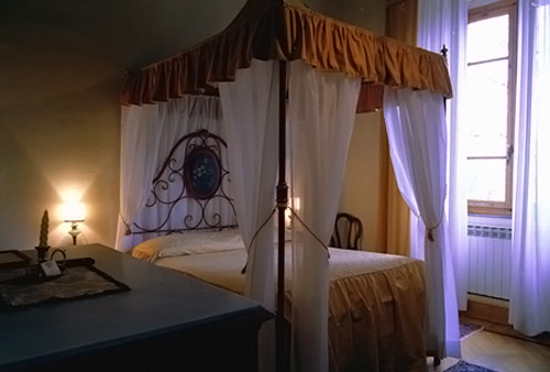 There are 16 rooms in the main building and 3 apartments near to the Villa, some of which with their own private terrace, offering accommodation for around 65 guests. 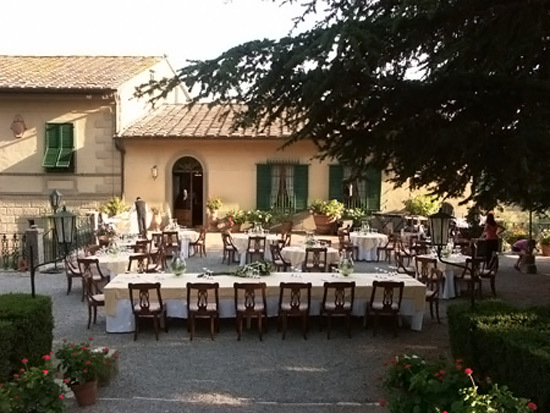 This Tuscan wedding location offers a warm, family-style hospitality that makes you feel at home immediately: perfect for family reunions and for small to medium wedding groups (from 20 - 65 guests). This lovely Tuscan wedding Villa is completed by a pool with a great panoramic view over the woods, where the quiet and peacefulness of the countryside are touchable. In the restaurant you may taste delicious traditional Tuscan dishes and the wine list presents a wide selection of local and Italian wines. 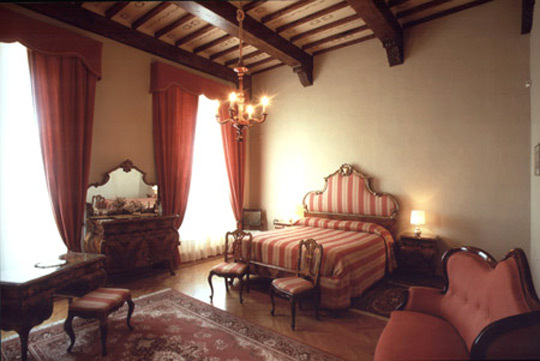 Civil wedding ceremony can be held in the nearby Castellina in Chianti Town Hall or in the most renowned Siena Town Hall. Our suggestion for a beautiful symbolic blessing is one of the outside terraces or inside in the small family Chapel. As to a Catholic wedding your ceremony can be celebrated in the Church in Castellina or in a Church in Siena. 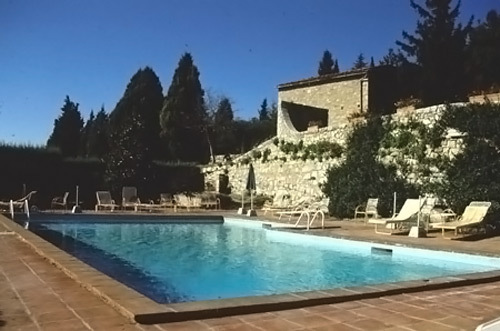 The estate offers a spectacular setting for your destination wedding in Tuscany. The wedding aperitif reception can be served at sunset in the ideal location of the terrace above the pool area with splendid panoramic view. 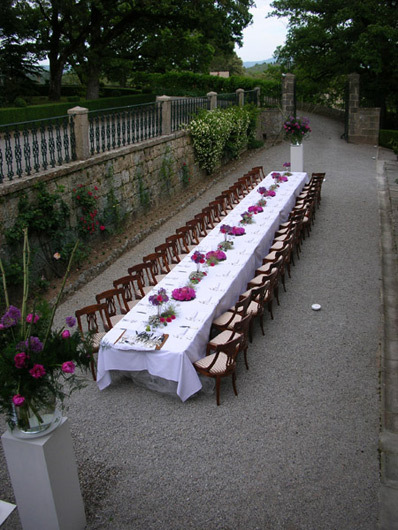 Then a superb wedding dinner reception will follow, a seated dinner either in the restaurant (up to 64 guests) or outside in the courtyard with view on the main villa. Siena: 20 min., Florence: 40 min., Pisa: 1,5 hours, Cortona: 1 hour 15 min.